It’s hard to imagine a world without these handy (no pun intended) gadgets now that they’re so integrated into daily life! In fact, their usefulness only seems to be growing as technology evolves increasingly fast and drastically. From monitoring your heart rate to measuring your calories burned, to even tracking your sleep cycles, is there anything fitness trackers can’t do? Okay, so some of them cost as much as a phone does. But you can get away with spending less than $100 on a budget fitness tracker. 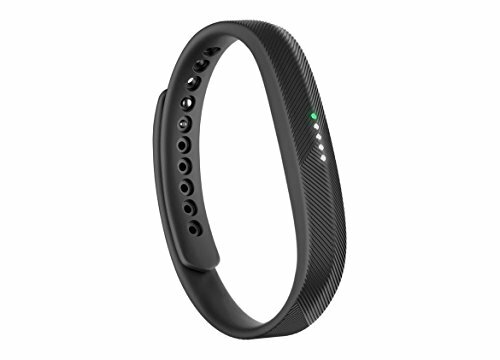 Fitbit is the brand that popularized fitness trackers, so this is basically the best fitness tracker under $100 you can buy. This is actually the most popular fitness tracker available today. This slim band can track steps you have taken, distance, the length of sleep, stairs climbed, and calories burned. It has Bluetooth 4.0 to seamlessly connect to over 150 iOS, Windows, or Android devices. It can sync to a computer with a USB port or an internet connection. This band is made out of rubber, so it’s durable and won’t stain. The device is water resistance to 1 ATM. That basically means the band won’t be damaged by sweat or minor water splash. It charges in one or two hours, and a single charge can last more than a week. Overall, this is a truly amazing budget product. It comes with a warning though not to use when wearing a pacemaker or any similar internal medical implants. 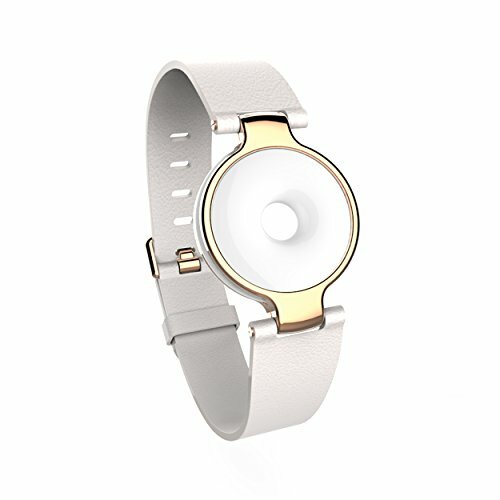 This is a fitness tracker combined with a watch. It has a very stylish looking watch face, and you can download more depending on your preference. It’s very discreet and doesn’t look like a tracker at all. We liked it best for sleep monitoring. It can even generate analyses for light and deep sleep cycles. It comes with a silent alarm too. The watch is very comfortable to wear. The strap is made from silicone so it’s very smooth and hypoallergenic. It has an app to provide free health coaching tips, which is a really useful function. The tracker comes with a watch battery which will last about 8 months. No recharging necessary. This sleek looking tracker is quite popular for heart rate monitoring. It’s known for providing accurate live results compared to many other trackers. This tracker actually comes with a chest strap, hence better results. It has Bluetooth, so you can easily connect it to other handheld devices. We were impressed by the optimal battery life that can last for days on a single charge. This tracker can be connected to gym machines with compatible activity trackers. It can count calories while exercising as well. We highly recommend this as a stylish tracker to wear to the gym, or at home to track heart rate. 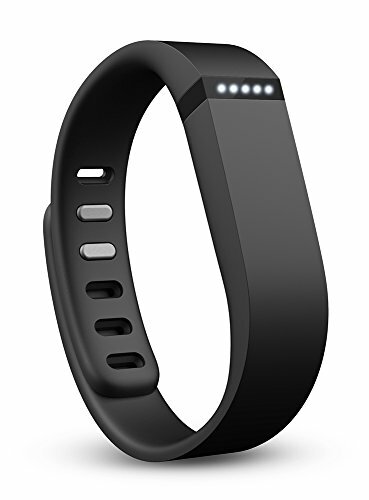 Fitbit is practically synonymous with fitness trackers. This is the cheapest and second best Fitbit you can buy for a budget price. It tracks strides, steps, distance, active minutes, and calories burned. There’s a sleep tracker with a silent alarm too. The display is very clear and has large fonts. It comes with two small and large bands. We really liked the ultra thin build that doesn’t feel like anything on skin. The tracker is completely waterproof, so you can wear it when swimming in a pool or even the ocean. But don’t take it diving because it’s not pressure proof. 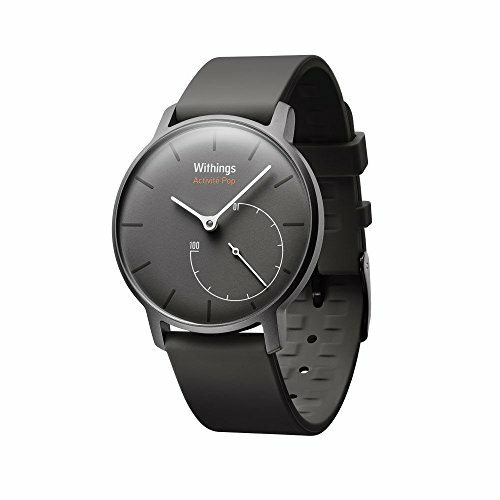 This is a rather inconspicuous fitness tracker with a matte screen. The screen is very much part of the band. If you need larger, glaring display, this is not the tracker you want. It can track sleep cycles, steps, heart rate, calories, and distance. It stands apart from other fitness trackers because of the low energy consuming OLED display. Charging time is only about 30 minutes. A single charge can last up to a week, and about 3 days with heavy use in our experience. It’s durable and water resistant too. This is the prettiest fitness tracker we have seen. It has a very hip and modern screen like a watch, and a stunning white band. The overall look is very elegant and looks like a fancy watch rather than a fitness tracker. Looks aside, the performance is not bad considering the price. It’s averagely accurate in rate calculations. It’s easy to personalize and can be synced with a phone to get alerts of calls and alarms. The build material is hypoallergenic. If you want to fitness tracker that visually stands apart from the rest, this is it. If you are buying a fitness tracker to monitor heart rate for medical reasons, always check the model with your doctor. 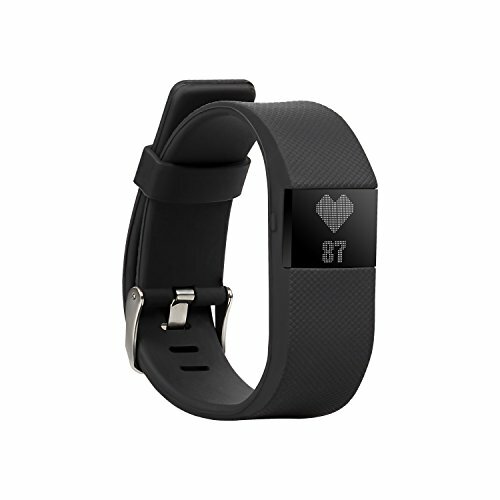 Fitness trackers are known to be quite accurate when it comes to monitoring heart rates. Studies have shown that findings tend to be off by about 5 percent or so. This remains the case even if you can only spend under $100 for your smartwatch. Yet, some devices may perform better than others. Your doctor may be able to recommend the best ones if you provide a list. Fitness trackers are advertised to calculate calories burned. However, recent studies have shown that these devices are not at all good at doing this. So, be very skeptical of the calorie numbers you get from a fitness tracker. For more information, check out this NPR article. There are phone apps that allow you to track certain fitness stats. It will be best if you can sync the tracker you buy with the phone app. If you want additional functionality from your fitness tracker, like checking email, go ahead and buy a smartwatch. However, smartwatches may not be good as fitness trackers in rate calculations. Do pay attention to the band and the material. Silicon is a comfortable and lightweight material that will allow you to wear the device all day. Always check the band size and the buckle or the securing method to make sure it won’t come off.